Africa’s heightened economic momentum is widely recognised, with the continent now well entrenched as one of the favoured global destinations for investment opportunities and doing business. As companies without a presence in Africa continue to pursue a foothold on the continent, many South African firms are likewise establishing a presence in select African countries, whether through affiliations or established offices. The World Bank anticipates that growth in the Sub-Saharan Africa region will pick up from 2.8% in 2017 to 3.5% in 2018 and 3.7% by 2020, while PwC’s 20th Annual Global CEO Survey shows that CEOs already operating on the continent plan to grow their companies mainly organically or through new strategic alliances or joint ventures. Yet, despite the vast opportunities, doing business in Africa can be complex and challenging. Global economic uncertainty, changing political agendas, regulatory regimes and perceptions of over-regulation all influence the business environment, while corruption remains a major risk to confidence and growth on the continent. 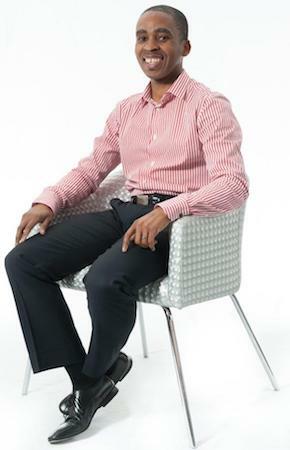 Thabo Molefe, Divisional Director for LexisNexis’ Legal Information and Compliance division, says it is almost impossible to enter the African business landscape as an outsider and immediately know where to go, what to do and even more importantly, how it is done. “Africa is business-ready and there is a significant appetite for growth on the continent. However, African countries run on a timeframe and language of their own,” he says. “Legislation – which is so important in guiding new business entrants – can be extremely difficult to access, collect and consolidate, with outdated or incomplete content scattered across a plethora of different websites, if available digitally at all,” he adds. Testament to the prohibitive nature of the difficulties and expense is the fact that there is no single source for up-to-date African legislation. This lack of consolidated legislative collections can be attributed to past and present government policies, poor management of both analogue and digital records and poorly resourced law revision departments in governments. Recognising these challenges and opportunities, LexisNexis has significantly expanded on the African content it currently provides and is the first publisher internationally to offer a consolidated and comprehensive African legal information solution. Lexis® Library, the most authoritative and comprehensive online research product, now provides access to African country legislation, commentary and regulatory information from a single, centralised platform. The African jurisdictions available include Botswana, Ghana, Kenya, Mauritius, Namibia, Nigeria, Swaziland, Tanzania, Uganda, Zimbabwe, Zambia, Mozambique. Additional countries will be added and content developed over the next six months. In addition, online legislation tracking and alert system Lexis® Assure includes new African content designed to ensure that companies trading in these countries are kept abreast of regulatory compliance changes. “Being adaptable and having a solid understanding of the legal and regulatory landscape of the jurisdictions in which you wish to operate, can help ensure good governance and avoid the pitfalls that may come from with non-compliance with local laws and regulations,” says Molefe. “While companies may always have some exposure to risk in Africa, they can craft their responses, procedures and safeguards effectively through the strongest legal base, as they set out to explore opportunities on the continent,” he adds. In this way, LexisNexis – with its focus on advancing legal intelligence in Africa – aims to ease the uncertainty of doing business in Africa so that it remains a viable growth opportunity for companies of any size pursuing market development and growth.